during high load machining processes. 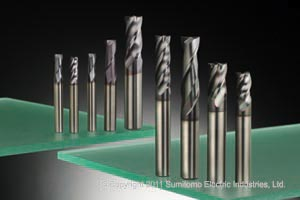 Endmill length can be readjusted after regrinding to maintain the same tool height. Available for GSXVL and SSEHVL series. 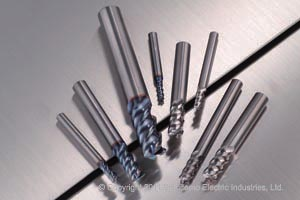 Ultra-fine grained carbide substrate coupled with the high oxidation resistant GS Hard Coat. GS HARD Square is available in 4 flutes, 6 flutes and 8 flutes designs from Dia1mm to Dia20mm. GS HARD Ballnose, with its seamless ball to peripheral profile, range from Dia0.4mm to Dia12mm. GS HARD Radius, in 6 flutes and 8 flutes designs, is available from Dia6mm to Dia20mm. Low Cobalt content carbide substrate with a smooth TiAlN Coat for improved wear resistance. Unique nicked and wave form design for excellent cutting action and chip evacuation. Available in 4 flutes configuration from Dia6mm to Dia20mm. 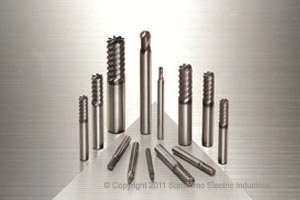 Fine-grained carbide substrate coupled with GSX Coat for improved performance. Available in 2 flutes, 3 flutes and 4 flute configurations, ranging from Dia0.5mm to Dia20mm. 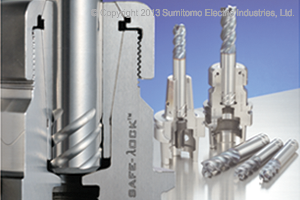 Tough substrate coupled with a heat resistant, ultra-smooth coating for machining of exotic alloys. 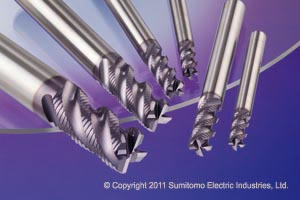 High helix design with a special flute design for sharpness, adhesion resistance and chip evacuation. Endmill range from Dia4.5mm to Dia16mm with corner radii of R0.5, R1.0 and R3.0mm.